1. Parents will bring student to ALL scheduled rehearsals and performance events in a timely fashion. 2. Parents will ensure that the student’s instrument is kept in pristine working condition with all necessary repairs and equipment. 3. 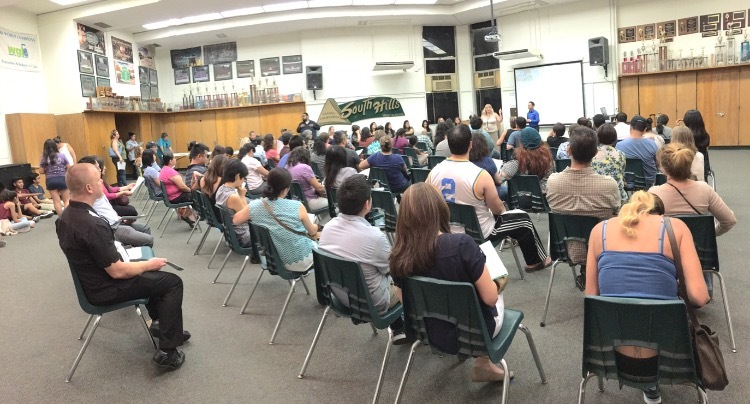 Parents will support student achievement in The SHHS Band & Color Guard by observing and enforcing home practice. 4. Parents will ensure that all student band forms are completed as required on time. 5. Parents will support student achievement in Band & Color Guard through attendance at concerts and performance events. 6. Parents will communicate with the Director of Bands regularly to relay pertinent information regarding the student band experience and home concerns. 7. Parents will support the success of all SHHS Band & Color Guard students through participation in the South Hills Band Booster Organization. Getting involved in the band program will give you the opportunity to share with your child the last four years of their education, these years that go so fast and are rarely enjoyed by many parents. Your child might say they rather not have you around, but most parents actually learn that in reality they appreciate your involvement and will thank you in the future. South Hills High School is fortunate to have a great band director, and a wonderful staff. The band needs parents to be able to function; it is for this reason that we urge you to get involved. Join one of the many committees; we need your help. Grandparents, siblings, or any member of your family can get involved and make a difference. 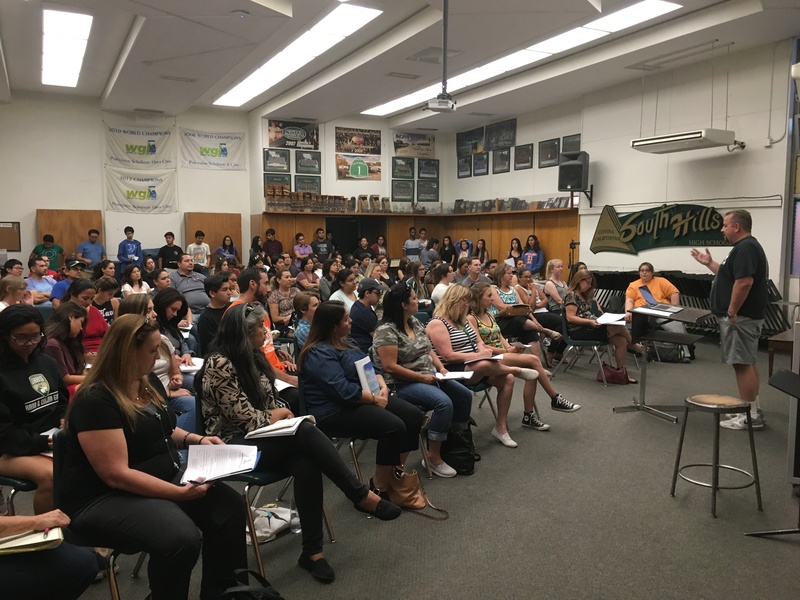 Join the South Hills Band Booster (SHBB), it is a great way to meet the parents and the kids your student will be spending much of their time with for the next few months. 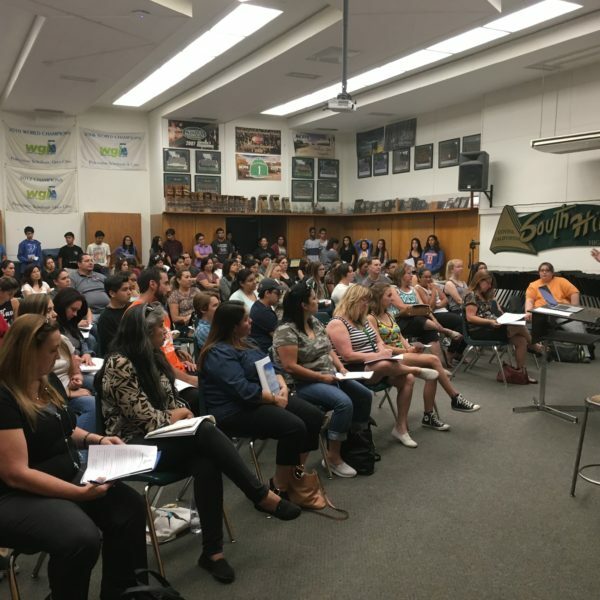 The easiest way to get involved is by joining the monthly Band Parent meetings where you will learn more about the program and where it needs your help. This is a terrific way to keep up to date on everything that’s coming up and up for discussion behind the scenes. There are many days where parents are arriving to pick their child up from practice and we encourage you to not just sit in the car, get out and ask, “How can I help?” It is fun and you meet the other parents with the same interests as yours. Any all help is greatly appreciated, even if it is just dropping off needed supplies when asked. Without you, the band parent, the band could not be as successful as it is ! Please be timely when picking up your student(s) after a rehearsal or competition. Our first goal is to keep all students safe. Please DO NOT wait in the travel lanes in front of the sidewalk area, whether you are just picking up from practice, football game or competition. 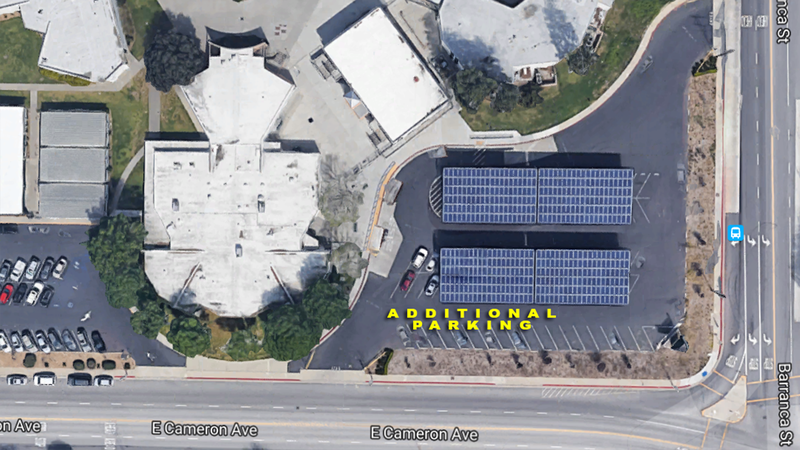 Instead, drive into the lot and park in a marked parking stall; your student will find you. 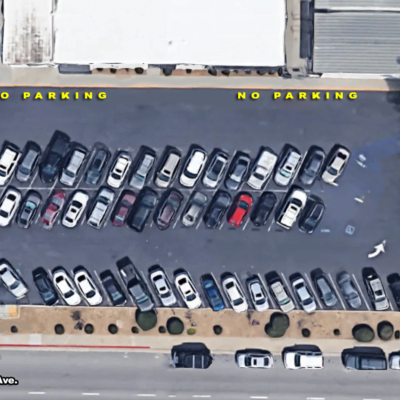 As a reminder to all parents and guardians, it is very difficult to maneuver when backing out of the parking stall when cars are parked behind with very little space. NO parking is permitted in the drop-off lane at any time. 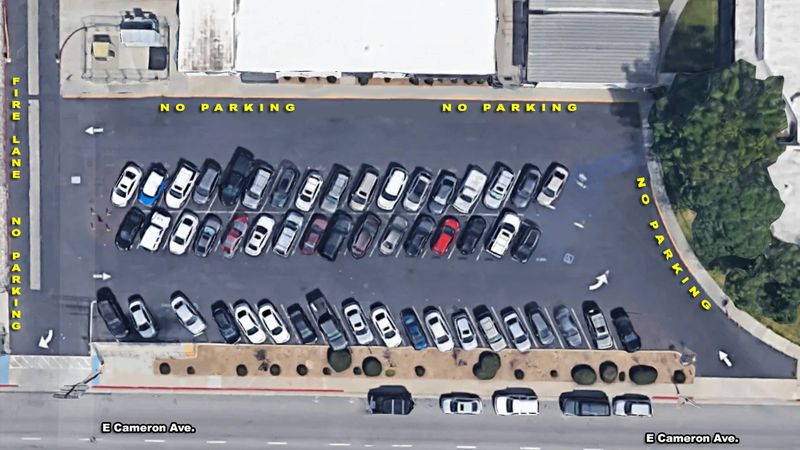 It is a fire lane and, therefore, it is illegal to park there at any time. 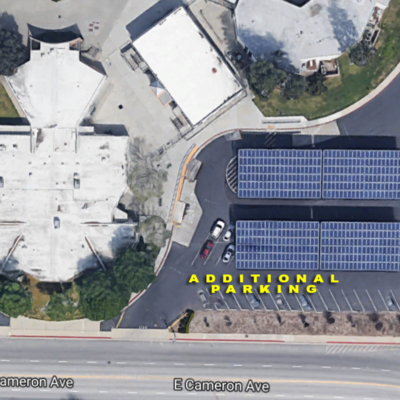 The drop off lane is designated by a solid yellow line in front of the school. Cars may circle around if you do not see your child right away. 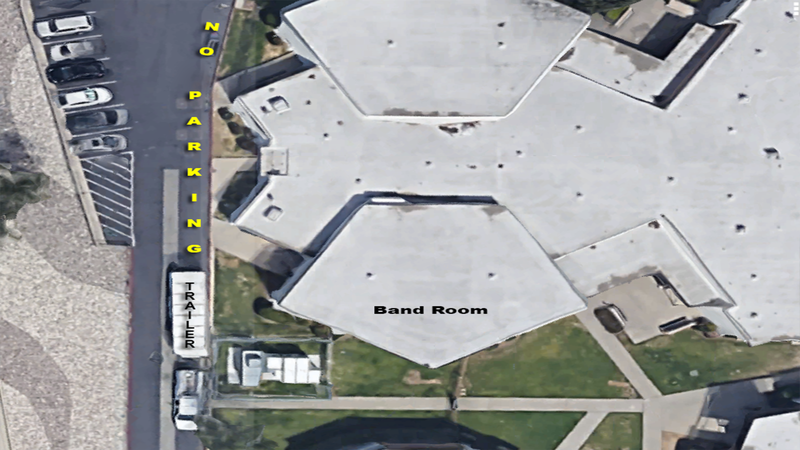 DO NOT PARK behind the band room, as it makes it very difficult to maneuver the band trailers within that area in order to load and unload the equipment and uniforms (the outside curb is also a fire lane). 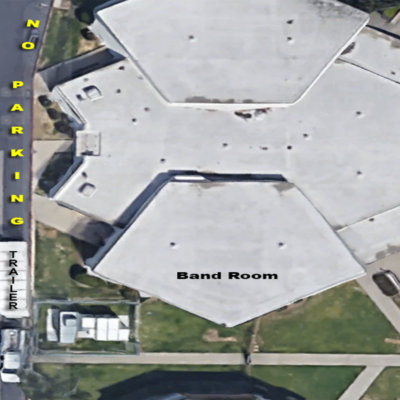 We will appreciate your help in keeping these areas clear for the instrument and uniform trailers and to help keep your band student’s safe. By helping to keep the driveway clear of traffic, the band vehicles can safely enter and exit quickly, allowing students and staff to effectively unload equipment and head home to bed sooner. Share these guidelines with your family members who will pick up or drop off your student(s). Thank you for your cooperation !